This is a really powerful science-fiction story set in the future. Think of the United States of America as no longer existing. What remains is a land of twelve districts run by the capitol. Every year the authorities choose two young people between the ages of 12 and 18 from each district to compete in the Hunger Games. It's a reality show that everyone in the land watches on television, and it is a fight to the death. These kids are set against one another. Every night an image of anyone killed in the fighting that day is beamed up against the sky for all to see. When her younger sister's name is picked, Katniss Everdeen steps forward and volunteers in her place. She and a young man from her district will face the ferocity of the others. Quite riveting! This book was one of my favorite books this year. 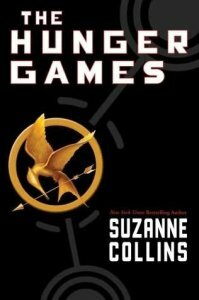 The two main characters are Katniss Everdeen and Peeta Mellark. They are both picked to represent their districts in the 74th Annual Hunger Games. There are two people chosen from each district, 1 through 12. One person is a boy and one person is a girl. In the Hunger Games, there are 24 people, and they fight to the death until one person is left. Katniss and Peeta try to bring pride to District 12. I think that people should read this book because it’s very interesting. There are a lot of surprises that happen This book belongs in the survival category, and it’s for older readers, because there are a lot of violent scenes and some strong language. I hope you enjoy this book as much as I did. This was an amazing book! Suzanne Collins does an amazing job of describing the action and difficulties Katniss has to overcome. 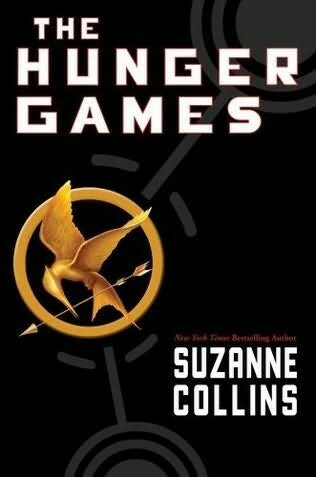 If you like action and suspense, you'll love The Hunger Games.